Wondering what past campers thought about camp? "Today was a good day and I already know more about writing than when I came here. This camp is better than I thought it would be... I did not know what a fable was until you taught it today. I think that between these [first] two days I have learned more about writing than a few weeks in school." 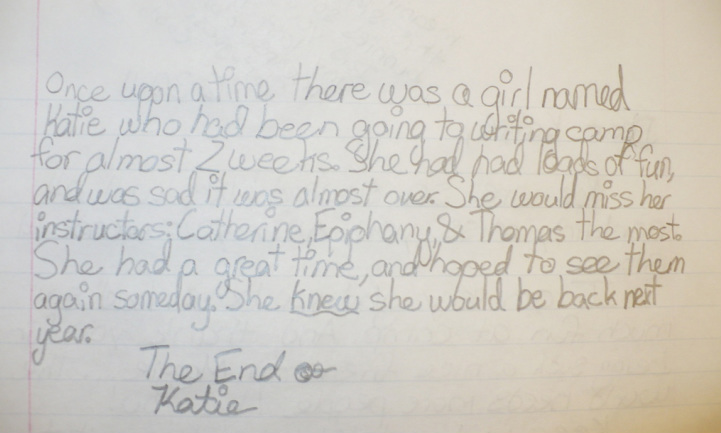 "Once upon a time there was a girl named Katie who had been going to writing camp for almost two weeks. She had had loads of fun, and was sad it was almost over. She would miss her instructors: Catherine, Epiphany, & Thomas the most. She had a great time and hoped to see them again someday. She knew she would be back next year. The End." Parent engagement is an important aspect of the Great American Writers' Camp. We believe it is crucial that parents are up-to-date about their student's academic and creative progress and that parents are involved in their child's projects. 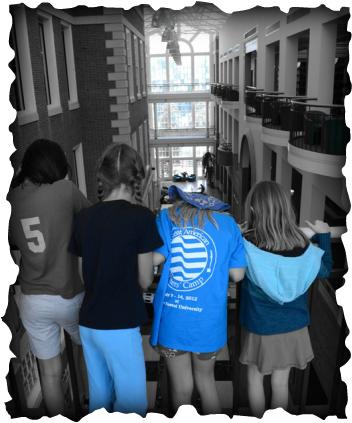 For this reason, the GAWC staff stays in contact with parents before, during and after camp. We want you to know what your young writer will be doing, what they are currently working on, and what they have accomplished at camp. We communicate with parents a number of ways: through paper mailings, emails, facebook posts, and face-to-face communication. Of course, we will never send you junk mail or unnecessary memos--only what is important for you to actually read. Additionally, you can look forward to joining your students at camp on the very last day. Prior to the camp's final dismissal we host Open Mic Luncheon in which students present their best work to an audience of their friends, parents, and instructors. This is always a very exciting time that everyone greatly looks forward to!